A shredding company owned by a former professional footballer is making major changes to its collection processes as it celebrates its fifth birthday. Shred Direct was launched by Newcastle United footballer Graeme Carter in May 2013 and has experienced significant year on year growth since. Graeme, 48, who runs the business from East Durham Business Service’s Novus Business Centre in Peterlee, said: “I am committed to being as environmentally friendly as possible and by switching to paper, it means those collection bags can also be shredded and taken to a paper mill and recycled, usually into tissue paper. “Athough this is the costlier option, it is something I’m prepared to do as it makes our process of collecting waste so much greener. Graeme recently added apprentice Callum Summerill to his team, taking the number of employees at Shred Direct to five. He is also expecting year six to see a 20 per cent increase in turnover, as the business continues to win new contracts and secure more work with existing clients – Shred Direct now has a portfolio of over 250 clients from Scarborough in the south to Ashington in the north. Graeme, who lives in Wheatley Hill, added: “Callum has been a great addition to the business and one which was very much needed given the growth we’ve experienced. “We have two new vehicles, a seven and a half tonne truck and a van, which between them are covering hundreds of miles every day making collections from businesses around the region, so the extra pair of hands has freed up some of my time to focus on business development. 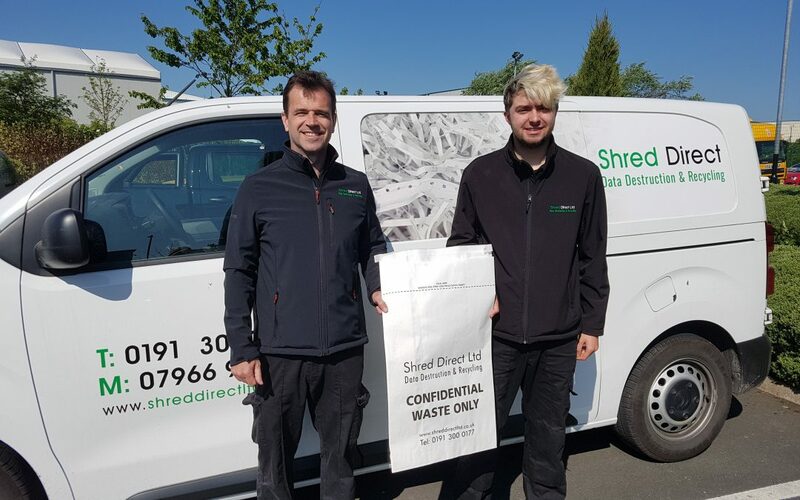 Graeme launched Shred Direct with the support of East Durham Business Service after working for Premier Waste for a number of years. Shred Direct’s portfolio of clients now includes a number of major law and accountancy firms, as well as Newcastle United and several NHS medical centres. The company also secured new business after exhibiting within the Incubator Zone at last year’s EMCON event – a move which enabled Graeme to reach new markets and target businesses he wouldn’t have otherwise had the chance to meet. Before working in the recycling industry, Graeme was a central defender on the books at Newcastle United. However he was restricted to just three substitute appearances because of a persistant shoulder injury.